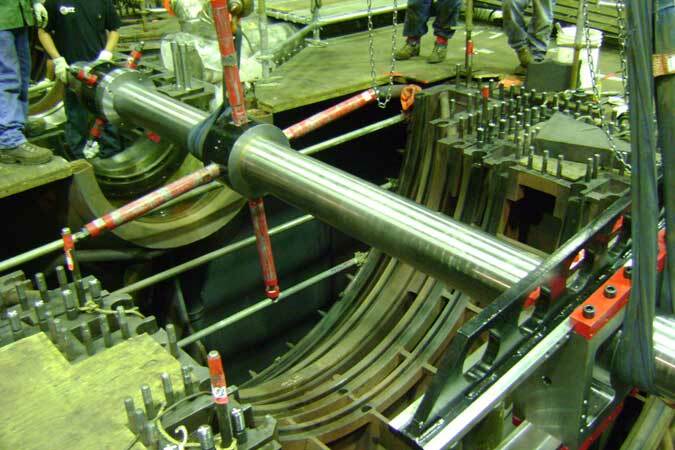 Orbital Energy Services performs on-site line boring services and coupling line boring for virtually any boring requirement. This includes: cylinders, pumps, pump casings, turbine casings, pressure vessels, cylinder casings, compressors, compressor casings, gear boxes, and construction equipment, just to name a few examples. 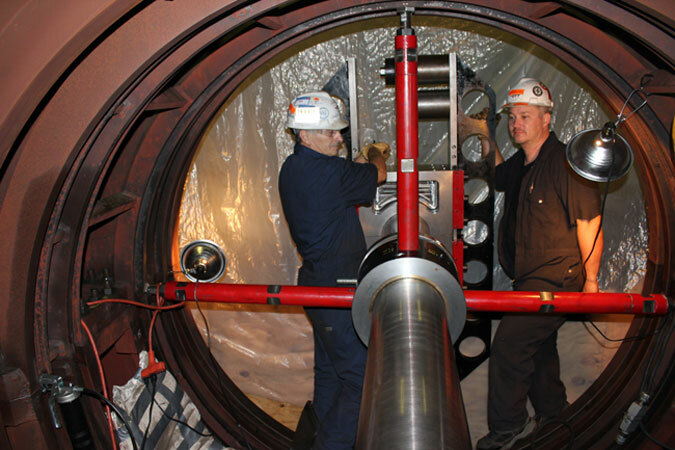 Why should Orbital Energy Services be your first choice for on-site boring? Performed on-site, we have eliminated the issues related to removing and shipping your equipment to a shop: costly mobilizations, exorbitant shipping costs, potential damage during shipment, valuable lay down space, and plant crane and rigging requirements. All work is performed at the customer’s facility, regardless of size, position, damage, material, etc. Once on-site, unloading and loading of our boring equipment is quick and is typically accomplished with a small fork lift or crane. Our boring equipment can accommodate diameters from 1.5 inch to 12 feet, at depths up to 26 feet, and in almost any location and environment. Ready to speak to an Orbital representative about this service? Please visit our contact page to send us a message or call toll-free from the US 800-607-2838 (or 1-770-297-1888 for international customers) to begin the conversation. Orbital Energy Services is the power generation industry’s preferred source for precision on-site or in-shop machining and welding. Our business revolves around our customers' needs and we are available whenever and wherever our expertise is needed to ensure availability and performance. Our reputation is our trademark and that's why so many customers place their trust in our services.